I will be remodeling my home from top to bottom in the spring. In preparation, I'm going through a lot of stuff that has been packed away for years. I ran across a lot of material marked 'for throw pillows'. Something I had planned to do, but never got around to it. 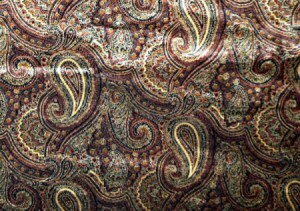 I have about 4 yards of a nice paisley velvet. I would like to start with that. Before searching the Internet for instructions and answers, I wanted to ask you what you thought. I don't have a machine. All the stitching would have to be done by hand. I'm thinking I can handle a straight stitch? I seem to remember seeing foam forms that could be covered rather than stuffing the pillow with poly. Has anyone had any experience with these forms? Are they comfortable when made into a pillow. Oh, I won't be putting zippers in these pillows and I won't be putting cord on the edges. I want the pillows to look good, but I don't have the patience to do a lot of tedious work as I did years ago. 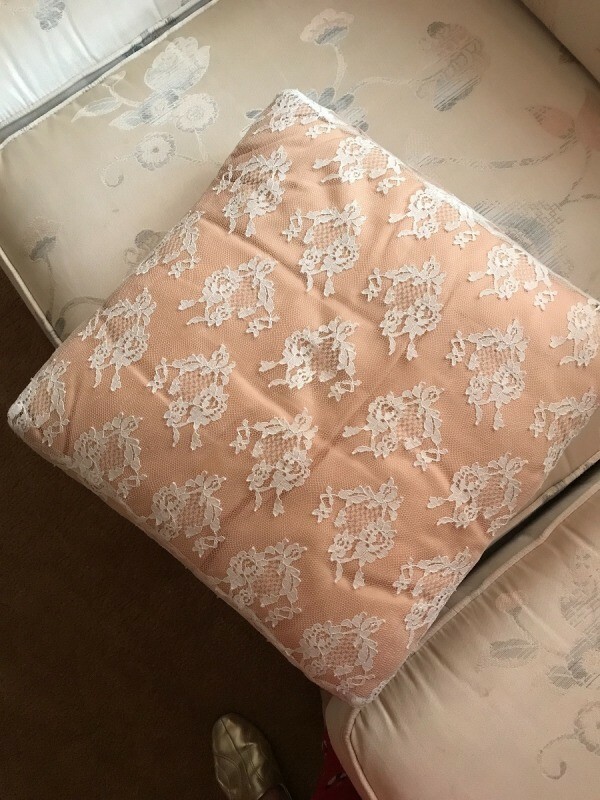 If you know about making throw pillows, I will appreciate any tips you have to offer. If you think I'm undertaking too much, you can tell me that, too! Cut the fabric so you have about 1/2 inch seam allowance. Turn the fabric so the right sides are together. Turn the fabric so the right sides are now facing out. Put in a pillow form, or stuff the pillow. Sew the remaining side closed. Maybe you should make one and enter it as a craft. I hope I can find a thread that's hard to see against the fabric because the stitching will show on the fourth side. Right? And the edges would have to be turned in on the fourth side. Right? Do you drape your fabric over the form to measure it so you take into account the rise in the center of the form? I'm having trouble finding solid foam forms. Do the poly filled forms keep their shape? You have seam allowances turned down. You stitch the fourth side in the seam allowance so it is not visible. The pillows keep their shape. I am posting some pictures of pillows I made. Judy, I understood most of your instructions, but as I have never sewn a pillow, I can't visualize how you close the pillow. I found a video on YouTube. Is this something like what you were talking about? Yes. I use the slip stitch. I stitch a little further down into the seam allowance. My stitch is not like a ladder, but completely invisible. As you can see, the seam allowance is folded down. I press mine down with an iron, too. The pillows I made were a little more involved. One had a ruffle and the other had a cover on it. I like your last line "undertaking too much" . With out a sewing machine and doing all stitching by hand that IS a lot to of hand work. If you are an older person and maybe have a little arthritis I would not bother. Also do you have the time to do all that work, and do you have the patience ?? 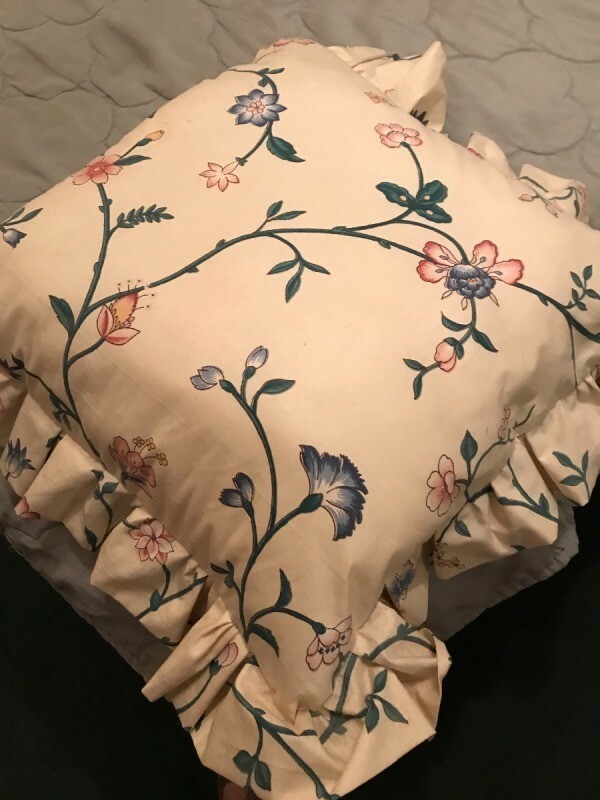 If you want different pillows then check your local thrift shop, so many people donate their barely used pillows and they are reasonable priced (about $3 ) all depends on how determined you are to do it yourself. If I find the project to be too much, I will try to find a seamstress to make the pillows for me. I wont be shopping the thrift stores for pillows. My picture doesn't do the fabric justice. 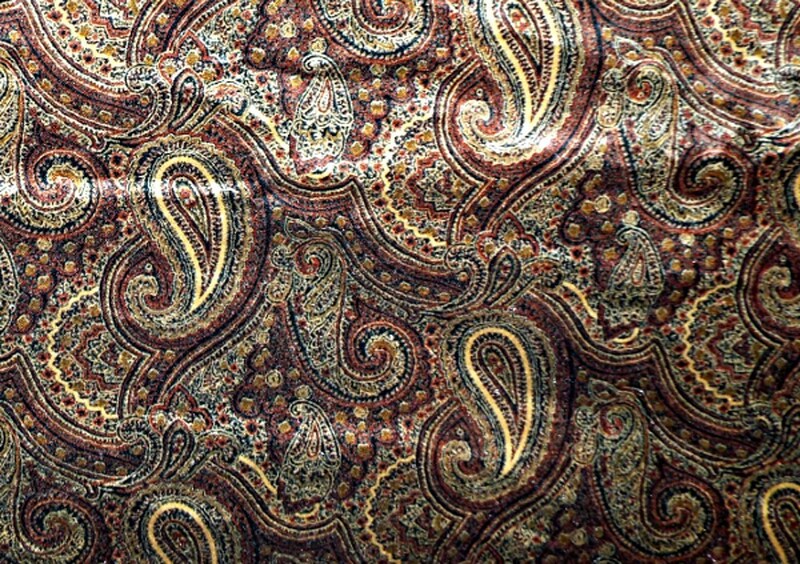 I have several beautiful velvet fabrics and especially wanted the pillows made from them. Patience? I have been told many times I have the patience of Job. But that was by older folks when I was young. Sad to say, I've lost most of that patience.